Itronics Inc., a diversified zinc fertilizer and silver producing green technology Company, recently announced the commencement of its silver bullion production using e-scrap as a "cost reducing" precious metal bearing raw material. E-scrap refers to ground up computer circuit boards. E-scrap is instantly available in huge quantities, creating the opportunity to expand the innovative recovery operation in phases to a significant commercial scale. Bullion sales from this process will begin to generate revenues for Itronics early in the third quarter. The new revenue stream will be coming on line when seasonal fertilizer sales are declining. The drought in California has ended. GOLD'n GRO fertilizer sales are increasing above expectations there and the new silver bullion revenue stream will provide a welcome addition to revenues in the second half of this year. Using one of its bigger furnaces, Itronics has performed more than 20 test melts, and this generated part of the bullion shipped during the beginning of this year, subsequently producing several hundred ounces of bullion yet to be shipped. Itronics has placed its second large melting furnace into operation as the test melts have been working well. Both furnaces are now operated by the company, which is also setting up an operating schedule for bullion production. Current silver bullion production per month is almost 1500 troy ounces. Process optimization is still an on-going process and additional furnace operation improvements are being detected and used as part of the process into constant operation. The "per melt" production, between January and mid-April, tripled from 500 to 1500 ounces per month. Itronics assumes that the advancements over the next several months could bring about an increase in "per melt" recoveries by another 20 to 50%. The elapsed time between shipment and payment is almost 60 days under the Company's bullion sales agreement. A report on the silver bullion shipped in the second quarter will be presented in the third quarter sales results. A new "Zero Waste" technology is represented for Itronics by employing e-scrap as a raw material and this technology is expected to majorly increase both the company's revenues and the profitability of the silver recovery operation. The "cost reducing" feature of this innovative silver recovery technology has enabled the company to believe that the silver bullion production segment is capable of becoming the steady non-seasonal cash flow generating revenue stream that Itronics has been seeking. Base and precious metals prices are expected to continue to increase, so adding gold, palladium, and copper to the sales mix will expand and stabilize revenues as the silver recovery operation expands. With the new process, e-scrap is fully transformed to saleable and green energy goods. 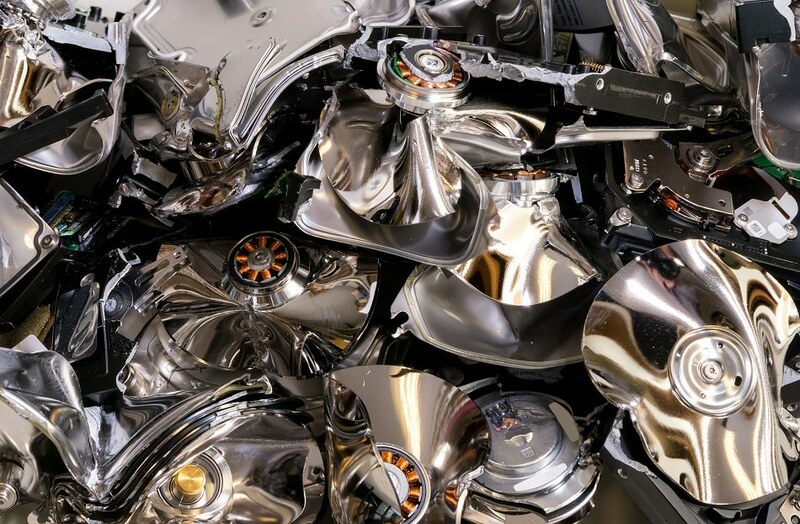 The breakthrough metal recovery concept collects the metals contained in the e-scrap into saleable bullion by employing the silver from photographic liquids. A unique feature of this breakthrough technology is that the company uses the measured composition of a wide range of raw materials, including e-scrap, plus fluxes, in order to formulate and develop a new chemical composition of glass capable of rejecting all of the base and precious metals recovered from the e-scrap into the silver bullion. Except for an extremely small amount of copper and silver which remains in the copper-silver glass developed by the process. The new process, in terms of operations, is a glass manufacturing operation that develops silver bullion as a by-product. The silver bullion, in terms of value, is considered to be the main value and the glass is currently a byproduct value. Itronics is currently developing a portfolio of integrated technologies that focus on using particular non-hazardous and hazardous waste materials as low cost raw materials in order to increase the profitability of saleable goods manufacturing. Using these waste materials as manufacturing raw materials eliminates them permanently as a waste stream that needs long term environmental oversight and management and long term safe storage, offering a major reduction in long term environmental cost and risk to society. Because of this, the International Chemical Engineering Society (IChemE) has described these technologies as "Zero Waste Technologies" and Itronics won the second place for this achievement at the global IChemE award ceremonies that took place at the Royal Courts of Justice in London, England. The award has been treated as recognition for the breakthrough represented by Itronics' photo-liquid conversion technology, which utilizes spent silver-bearing photo-liquids as raw material in order to develop silver bullion and GOLD'n GRO liquid fertilizers, thus completely transforming the unsafe materials to saleable goods and bringing about a permanent elimination of the toxic waste from the environment.